Spoiler Alert: I am an African–American male with tattoos, a beard, and dreadlocks who very happily taught English abroad in Japan, South Korea, Oman & Saudi Arabia for over 7 years. If you are reading this article then I assume that you are probably one of the many individuals heading abroad who doesn’t fit the “typical” American image of blonde hair and blue eyes; and you have probably pondered the question: “If I want to teach English abroad, will I be discriminated against because of my ethnicity?” I emphasize the word typical because all native English speakers have blonde hair and blue eyes, right? The answer to that question may seem obvious to me and you but believe it or not, in some parts of the world, that blonde hair, blue-eyed image is, in fact, the common perception of all native English speakers. To those of us who are members of ethnic minorities, this can present unique challenges, but also opportunities, and by all means, whether you are Black, Brown, Red, Yellow or Purple, you can enjoy the international experience of a lifetime teaching English abroad. 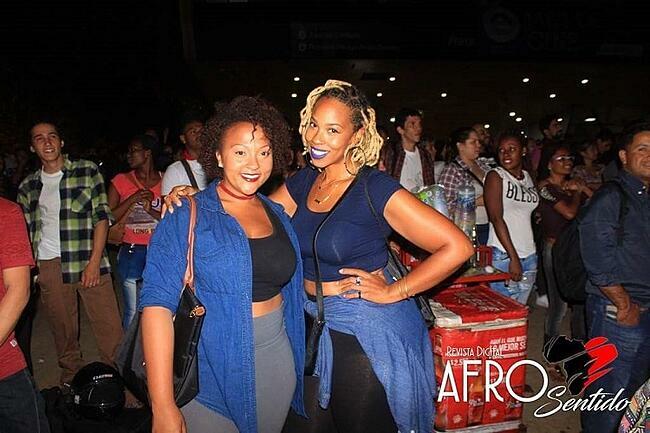 As a Person of Color, Will I Get Hired to Teach English Abroad? If you are a native, or even fluent English speaker, and if you gain your TEFL certification, there's no reason why you shouldn't be able to get a good job and enjoy a great experience teaching English abroad as an African-American or a member of some other ethnic minority. 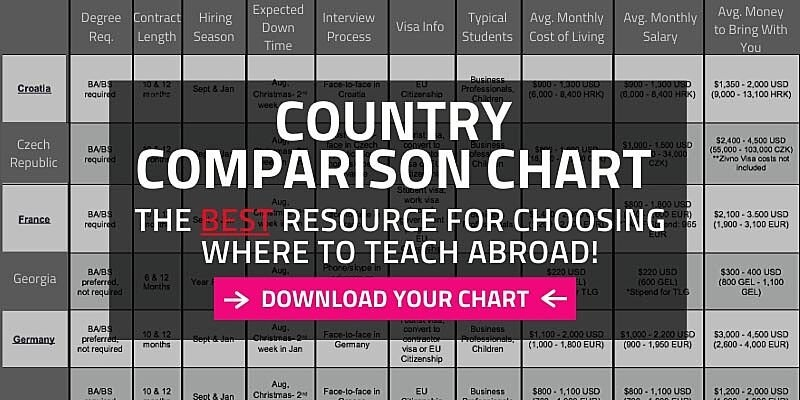 To learn more about hiring requirements in different countries around the world, check out a Country Chart. Now, I’d be lying if I didn't say that as a person of color, you may encounter some discrimination when seeking employment to teach English abroad (just as discrimination still exists in the U.S., U.K. and other countries worldwide). To be blunt, some employers do consider ethnicity when making hiring decisions. In many instances; however, they also look at weight, facial hair, hairstyle, piercings and tattoos as well; so at the end of the day if you are passed up for a position it could be for any number of reasons. But in most cases they will consider your qualifications as an English speaker who holds a TEFL certification. You should also bear in mind that there are thousands of schools and language institutes that are looking to hire qualified native English speakers and many are more than happy to hire African-Americans and other people of color. In fact, in recent years, the number of African-Americans and other minorities teaching English abroad has risen dramatically. 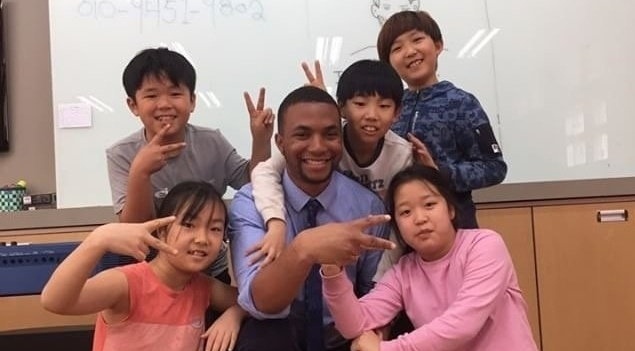 Correspondingly, as the presence of minority teachers has gone up, more schools have become accustomed and comfortable hiring teachers that don't fit the "typical" American image to teach English abroad. Like any job search, getting hired to teach English abroad will require patience and persistence. Usually, any stereotypes that you may encounter are based on simple ignorance and lack of exposure to people of color, and are by no means a reflection of hatred or ill-intent. Personally, as an African-American teaching English abroad I observed that it is generally not an employer’s deliberate intention to discriminate and, more often than not, it just boils down to their preconceived misconception of what a native speaker should look like. Will I Encounter Racial Stereotypes While Living and Teaching English Abroad as a Person of Color? As an African-American or a person of color teaching English abroad, you should expect to encounter people who have had little or no prior experience interacting with people like you. Some people in Asia, for example, particularly outside of larger cities, may have never even seen anyone with skin of a different hue or hair of a different kink. Out of curiosity, people may stare or ask funny questions (bear in mind, this can also happen to Caucasian English teachers to a varying degree). Additionally, some moments may be awkward or strange, but in the vast majority of cases, they are harmless, innocent and often humorous. now one English word that she permanently remembers. On yet another occasion, another friend (of a darker complexion) began teaching young children in the countryside of Japan and her students, stricken by this skin tone they had never seen before, called her “Chocolate Teacher” and assumed that she was edible. ”Please, dunk-shoot,” he said as he glanced over at a basketball. It certainly caught me off-guard and it took me a second to decipher what he meant, and although I’m a pretty athletic guy, at 5’10” tall, wearing dress shoes and a suit in an un-air-conditioned gym at the height of the summer—I was definitely not about to slam dunk! Good stories and comic misunderstandings aside, the bottom line is that like almost any job, as an English teacher abroad, if you do a good job and perform your teaching duties in a professional and competent manner, you will earn the respect of your bosses, your colleagues, and most importantly, your students. As an African-American or a Person of Color, Will I Be Able to Make Friends and "Fit in" Socially? One of the great parts of living and teaching abroad are the friends you will make, both with local citizens, and also with other English teachers. From Tokyo and Seoul to Santiago and Istanbul, most big cities are home to thousands of English teachers and you can typically tap into a large English-speaking community that usually includes African-Americans, Asian-Americans, Hispanic Americans and other members of ethnic minorities. From churches and sports leagues to nightclubs and social organizations, there are often many avenues for you to meet other English speakers and people with like-minded interests. In addition, mediums like Facebook and Skype make it increasingly easy both to communicate and form a social network in the country where you teach English abroad, and also to stay in touch with friends and family back home. Naturally, in smaller towns and rural communities, you are less likely to encounter other English speakers and people of color, but that doesn't mean that you can't have an active and enjoyable social life and that you can't become an active and integral member of the local community. For example, while I taught in Japan, I was able to coach various sporting clubs and play organized baseball and basketball with local community teams. Living abroad, you more than likely can expect to encounter situations both professionally and socially where you are the only foreigner in the room. In contrast you will also encounter situations where you are in a room full of other native English teachers, all hailing from different countries, truly creating a unique, international experience that words simply don't do justice. As individuals that don’t fall into the “native speaker” image, we are actually at a unique advantage. Beyond simply teaching ABC’s, you become more than just an educator, but an ambassador—you are not alone, you are not the first person to consider going abroad, and as an ambassador you are in the unique position to not only introduce English to your students, but to also educate them on different cultures and the beautiful diversity of the world, if you so choose. 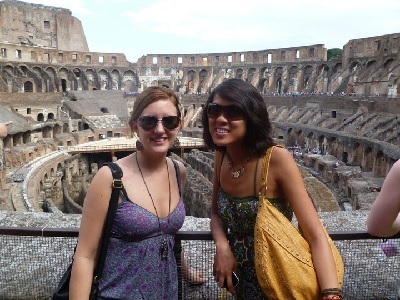 Want more firsthand perspectives from minorities who are teaching English abroad?